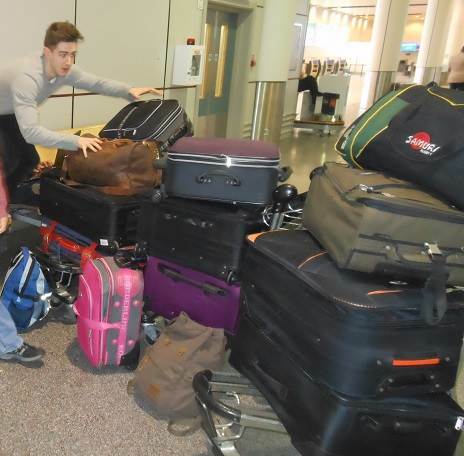 A group of 5 volunteers left London on Monday 12 January 2105 with 12 pieces of luggage with a combined weight of 210kg, headed first for Istanbul then Nairobi. The day stopover in Istanbul was good fun as usual with a whistle-stop tour of the city's top sites including the Spice Bazaar where we bought Turkish Delight. At 3pm, we stopped for a meal of keebabs and other Turkish cuisine, before heading to the airport for the remainder of the journey. We arrived the following morning in Nairobi around 4am greeted by heat and our reliable taxi driver who ferried us patiently to Eco Wildebeest Lodge. It was good to be back in Kenya with a long task list and the opportunity to catch up with PaR schools. The 4th Porridge and Rice Petting Day fundraiser took place on Saturday 28 December 2014. The sun came out for the afternoon. We were delighted that over 40 people attended on the day, and around 20 arranged to be there a week later. 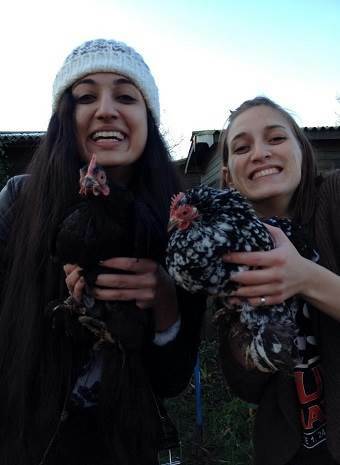 There were chickens, hedgehogs and guinea pigs out to hold and pet. The baby guinea pigs were particularly popular. There were several other animals to see from Chinese Painted Quails to Zebra Doves. Petting Days have become a regular fundraising event for Porridge and Rice. 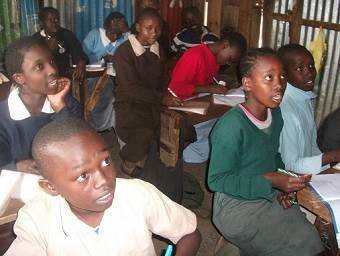 The 4 so far have raised nearly £1,000 to support our work in the slums of Nairobi. This is our most ambitious fundraising event yet. On 6 February, we are holding a wine tasting event in Twickenham, with around two thirds of the ticket price going to Porridge and Rice. The event will be run by ThirtyFifty, a professional company. There will be 7 wines to taste including both reds and whites as well as food.There will be advice on how to taste and judge wines. 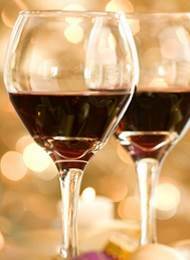 All wines tasted will be available for purchase afterwards with 10% of sales going to Porridge and Rice. Book your tickets by using the payment link below. Porridge and Rice has four professionally designed posters to promote its vision and work. Please, if you can, print them and put them up wherever you can. They can be downloaded from our website at posters. If you are unable to download them, email us on info@porridgeandrice.co.uk for the files. 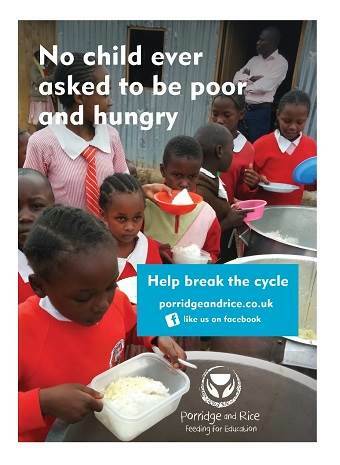 Porridge and Rice was formed in late November 2013 with the goal of raising £20,000 in its first 12 months. By the end of November 2014, PaR actually raised £45,000! A stunning result for a fledgling charity. At PaR, We have created a scaleable model for supporting schools in the slums, a model which we plan to extend to more and more schools each year. With this in mind, we have set ourselves the ambitious target of raising £60,000 by the end of 2015. 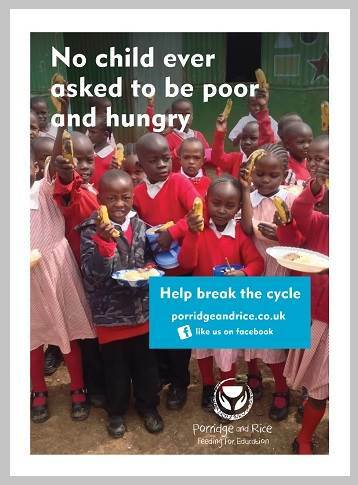 Porridge and Rice spends over 98% of the money raised on its work in the slums of Nairobi. Our entire team in the UK, are volunteers who pay their own expenses. Our largest cost, is the cost of transferring money to Kenya. Thank to every person who dontated money to Porridge and Rice. We provide free GCSE worksheets for Maths, Biology, Chemistry, Physics, and English Language which we add to each week, as described in this Get West London.